Overwatch update 1.12.0.2 for PS4, Xbox One and PC is now available for download. The latest update adds New Assault Map: Horizon Lunar Colony. The update added Oni Genji and Officer D.Va to classic loot boxes. In addition, the new update fixed an issue causing players to lose progress on their On Fire meter, after the meter had been completely filled. Overwatch update also fixed a bug that prevented the Health Pack respawn timers from displaying correctly after a player experienced latency. Check out the changelog below. Built as a first step towards humanity’s renewed exploration of space, the Horizon Lunar Colony’s goal was to examine the effects of prolonged extraterrestrial habitation—on human and ape alike. The scientists’ research proved incredibly promising until, suddenly, all contact and communications with the base were lost. Fixed a bug that prevented players from hearing the voice line that typically accompanies their ultimate if they executed the ultimate after being stunned. Fixed a bug that could cause D.Va to become stuck if her mech was killed just as she summoned it. Fixed a bug preventing Genji’s sound effects from playing if he used his primary attack immediately after a Swift Strike. Fixed a bug that prevented Orisa’s movement from slowing while she fired her Fusion Driver. Fixed a typo in Orisa’s “Satisfied with Protection” voice line. Overwatch update 1.12.0.2 for PS4, Xbox One and PC fixed a bug that prevented Orisa’s Supercharger from being destroyed if run over by the payload. Fixed a bug affecting the animation speed on Reinhardt’s Rocket Hammer, causing the weapon to feel unresponsive while swinging. Fixed a typo in the description on Roadhog’s Junkenstein skin. Fixed a bug that allowed enemy players to detect Sombra (while Stealth was active) if they were within a certain distance. Fixed a bug causing Symmetra’s hair to take on an unnatural appearance when her Vishkar or Architech skins were equipped. Fixed a bug with how Widowmaker’s Grappling Hook interacts with the flying drones on Oasis. Fixed a bug on Volskaya Industries that prevented the ice from appearing broken when players fell off a ledge to their death. Overwatch update 1.12.0.2 for PS4, Xbox One and PC fixed a bug that allowed Sombra to reach unintended locations on Eichenwalde. 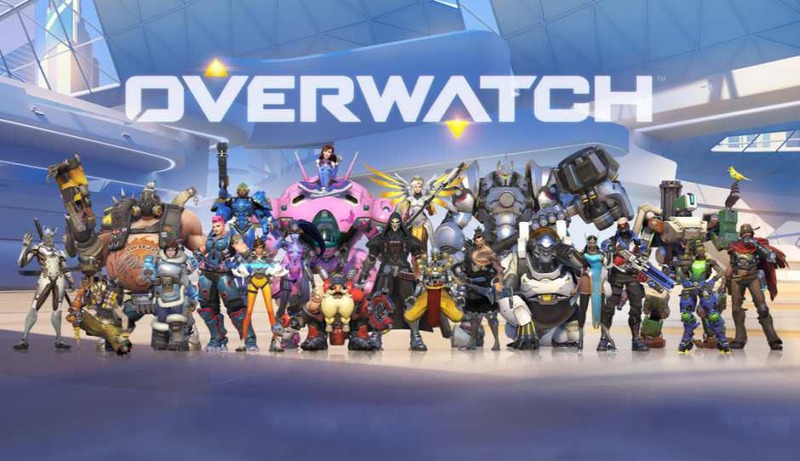 Overwatch update 1.12.0.2 for PS4, Xbox One and PC fixed a bug preventing the UI from correctly showing which heroes are unavailable in Limited Duel games. Check your game update and download the latest Overwatch update 1.12.0.2 for PS4 and Xbox One.